Workplace Health & Safety (WH&S) seeks an Associate Editor to oversee the Professional Practice focus of their journal. 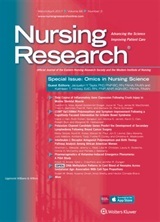 Professional Practice manuscripts focus on current, day-to-day issues in occupational health nursing practice. Manuscript categories include clinical case reports, successful worksite programs (e.g., smoking cessation), evidence-based practice, case management (e.g., return-to-work issues) and business and leadership (e.g., occupational health department management). These articles may or may not have a research focus. 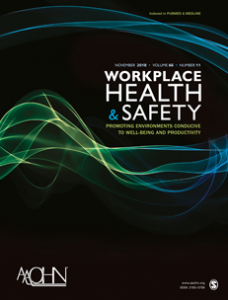 Workplace Health & Safety is the official publication of AAOHN. WH&S is a scientific peer-reviewed journal, which is published by SAGE. Its purpose is to support and promote the practice of occupational and environmental health nurses by providing leading-edge research findings and evidence-based clinical practices. It publishes articles that span a range of issues facing occupational and environmental health professionals, including emergency and all-hazard preparedness, health promotion, safety, productivity, environmental health, case management, workers’ compensation, business and leadership, compliance and information management. 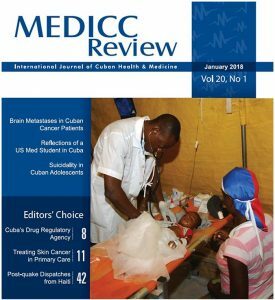 The Associate Editor position is an independent contract opportunity, including financial support, annual travel allowance to the AAOHN conference, and allowance for professional development conferences in the area of journal editing. Please submit a current curriculum vita, as well as contact information for two professional references appropriate to the role, and two samples of your best published work to Lisa Pompeii, PhD, FAAOHN, Editor-in-Chief, Workplace Health & Safety. In addition, provide a brief personal statement (no more than 350-500 words) that communicates your interest in and preparation for the tasks described in this document. For questions or requests for more information, please contact Lisa Pompeii, PhD, FAAOHN at lisa.pompeii@bcm.edu. 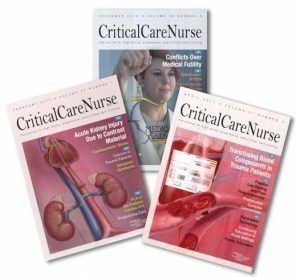 The Oncology Nursing Society is seeking a dynamic and visionary oncology nurse to serve as editor of the Clinical Journal of Oncology Nursing, with applications due March 1. Learn more about the duties, responsibilities, and requirements. Contact pubCJON@ons.org with any questions or to apply.